Colors for Future – Greetings from L.A.! We’re ready to celebrate spring properly. Meet Lauren Fisher Davis, Alex Chaves, Justin Greene, Yanyan Huang, Marisa Takal, and Cassi Namoda. Mozambique, the new political landscape, rural fantasies and colors hot as love itself. Curator: Melanie Lum. Alex Chaves, born 1989 in New Jersey. He received his BA from Wesleyan University in Connecticut, two solo exhibitions at Martos Gallery in New York and solo booth presentations at Art Brussels and Frieze Art Fair. She received her BA from the San Francisco Art Institute. 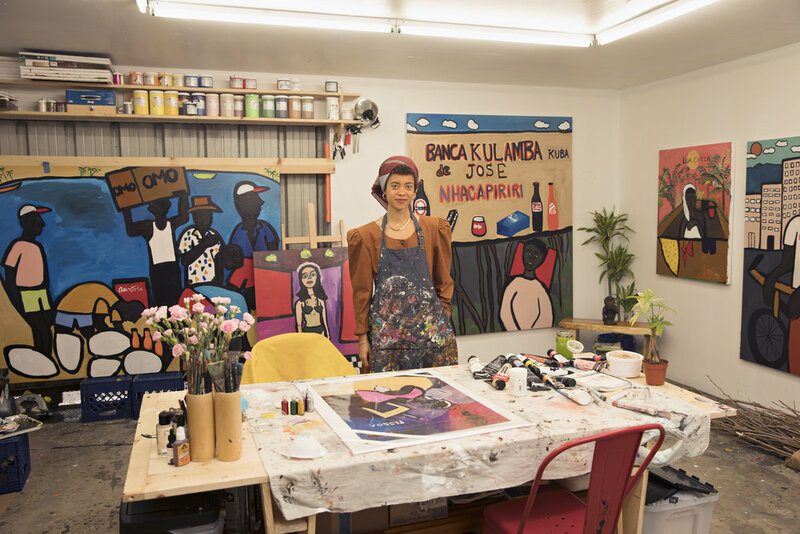 She has had solo exhibitions at Night Gallery in Los Angeles and in 2016 was named the recipient of the Rema Hort Mann Foundation's Emerging Artist Award. I’ve been interested in the typical backyard which I see as a space of fantasy, especially since many people of my generation are finding it impossible to consider owning a home with a backyard. These backyards are the delineated spaces of my middle-class childhood, of games and neighbourhood BBQs where one may foster dreams and imagine being king of one’s own private castle. Lives and works in Los Angeles. He received his BA from the Art Institute of Chicago. He has had solo exhibitions at Simon Lee (London), Smart Objects (Los Angeles) and Jessica Silverman (San Francisco). She received her BA from the UCLA. Solo exhibitions at BANK (Shanghai), IBID (LA), Jelato Love (Mallorca) and Tomorrow Gallery (NY). East West Bank corporation collection. Lauren Davis Fisher, born 1984 in Cambridge Massachusetts. Received her BA from Brown University. She has recently performed and exhibited at The Hammer Museum (Los Angeles), The Whitney Museum (New York), MoMA PS1 (New York) Don Gallery (Shanghai) and CFHILL (Stockholm). Lives and works in Los Angeles and East Hampton. 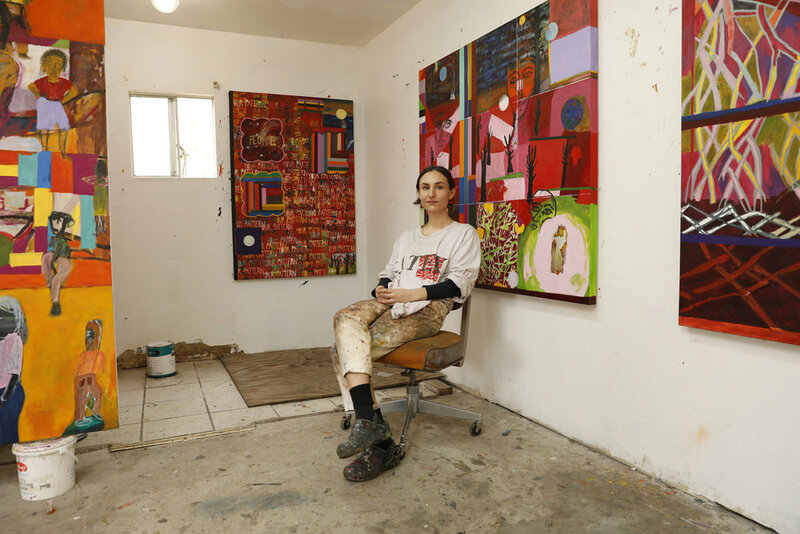 She has had solo exhibitions at Ghebaly (Los Angeles) and Nina Johnson (Miami). Her paintings are in the collection of the Perez Art Museum in Miami.